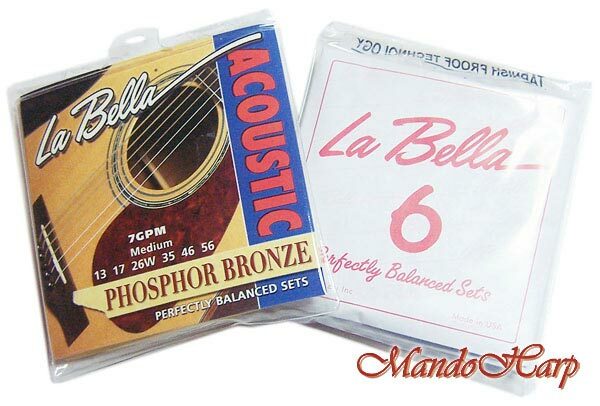 "La Bella - the choice of top professional players around the world - is the only company to bring you the advantage of perfectly balanced strings. Perfectly balanced so that when a chord is played, all the strings vibrate for the same length of time with no notes dropping out before the others. 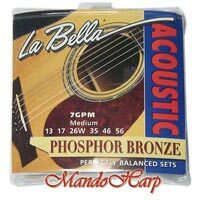 Plus, all the strings are heard equally, without one string louder than any other, producing the natural harmonics clearly without undesired overtones. The result is a uniform sound character, with the same tension and flexibility for each string. 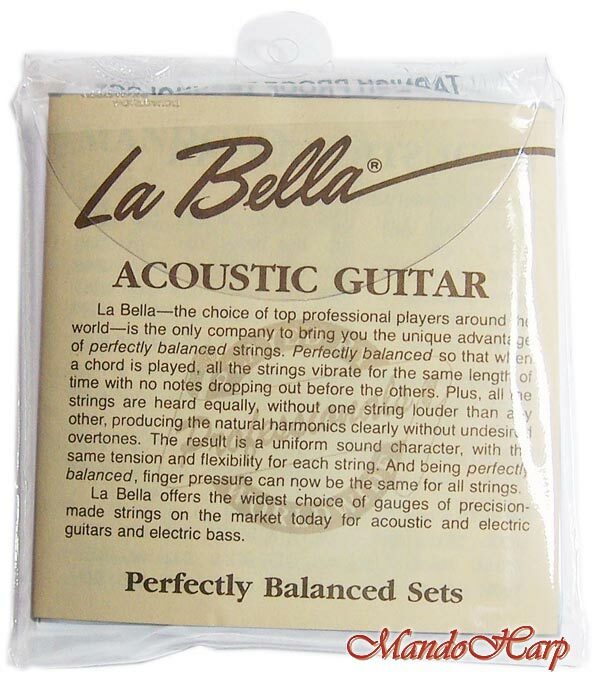 And being perfectly balanced, finger pressure can now be the same for all strings. 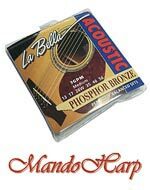 La Bella offers the widest choice of gauges of precision-made strings on the market today for acoustic and electric guitars and electric basses." 0.013" / 0.017" / 0.026" / 0.035" / 0.046" / 0.056"
"La Bella's four step manufacturing process has been lab tested and approved. 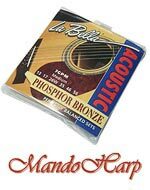 This process will guarantee vibrant, aesthetically pleasing strings with longevity second to none." 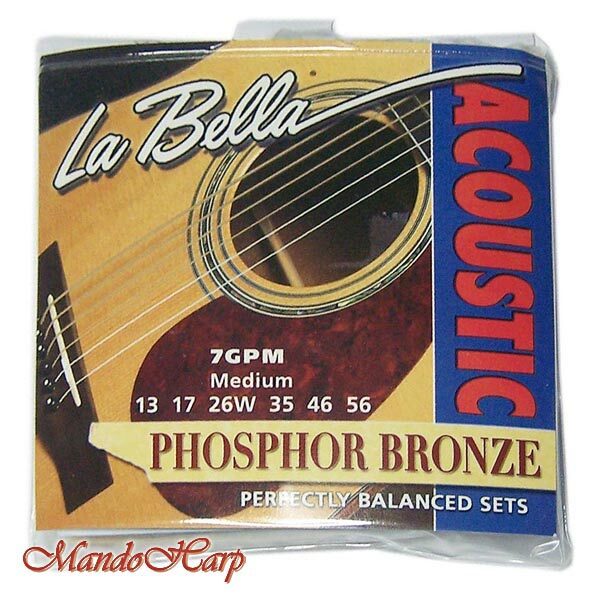 E - stainless steel 0.013"
B - stainless steel 0.017"
G - phosphor bronze round wound 0.026"
D - phosphor bronze round wound 0.035"
A - phosphor bronze round wound 0.046"
E - phosphor bronze round wound 0.056"